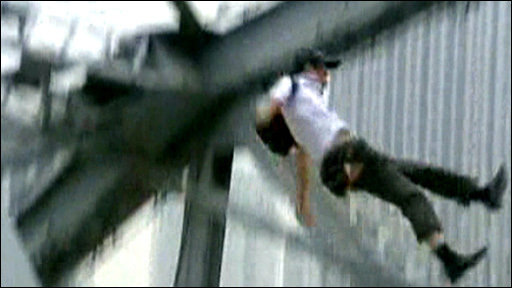 Footage has emerged of an angry passer-by pushing a suicidal man off a bridge in Guangdong province. Retired soldier Lai Jiansheng, 66, reached out to shake the hand of Chen Fuchao before pushing him off. The heavily-indebted Chen Fuchao fell eight metres onto a partially-inflated emergency air cushion. He was hospitalised with wrist and back injuries.